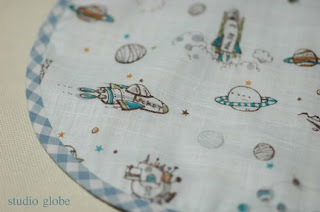 Takae's shop 'studio globe' on etsy is filled with handmade items from handbags to baby clothes. I bought this little bib for my newborn nephew and it arrived beautifully packaged from Japan within 3 days! The attention to detail is incredible - even the blue gingham check tape is handmade.